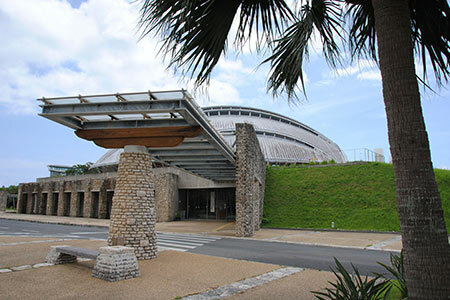 This large building exhibits the great works of famous painter Tanaka Isson and showcases the natural beauty, history and diverse culture of the Amami Islands. 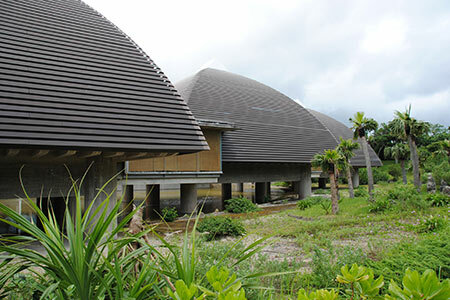 Amami is famously associated with the artist Tanaka Isson. After moving to Amami at the age of 50, he devoted his life to depicting the natural beauty of the island, developing his signature style. He died in poverty in 1977, his paintings still relatively unknown. It wasn't until after Tanaka Isson's death, when national broadcaster NHK aired a documentary about him and the media began to call him the Paul Gauguin of Japan, that his works gained the nation's attention and became popular. He started his career as a traditional Japanese-style painter, depicting flowers, birds, wind and the moon with natural colors. He struggled to secure a position in the modern art world, with little success. 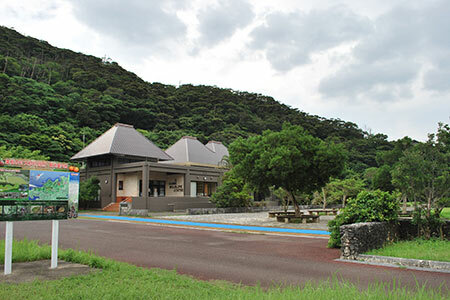 Discouraged with his fruitless efforts to build a career, he found himself inspired by tropical nature and moved to Amami. For the rest of his life, he worked as a textile dyer to save money while he developed and perfected his own unique painting style. 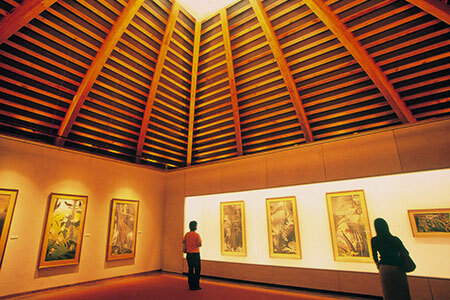 He introduced tropical nature into traditional Japanese-style painting. Painted in bright-colored ink, the objects in his compositions appear stylistically flat, with a limited sense of depth. 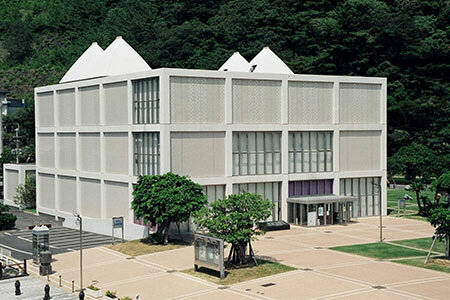 In fact, his final works produced in Amami sometimes give viewers the impression of contemporary art. 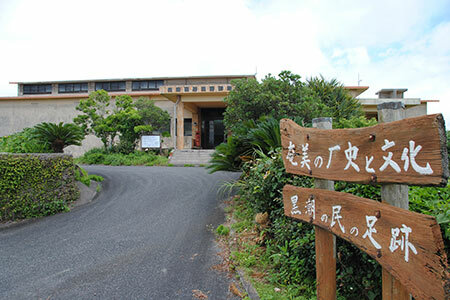 Amami Museum has a permanent exhibit about the island's culture, history and nature. 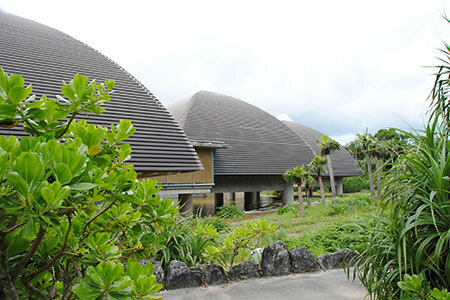 Amami's unique culture developed as a result of being part of the trade route connecting China, Southeast Asia, Okinawa and Japan. 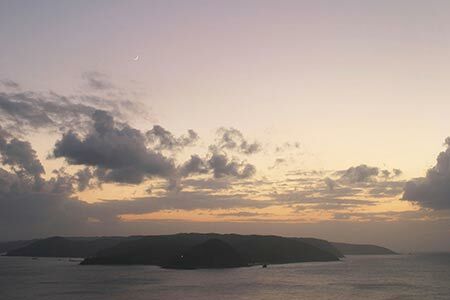 Interestingly, during a short period after World War II, Amami was occupied by US army troops. 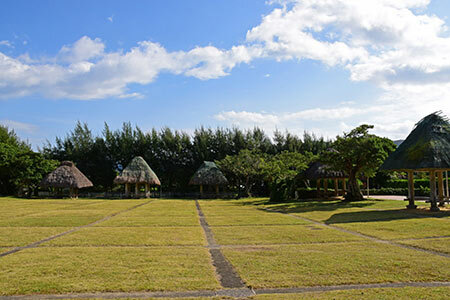 Visitors can find historical remains from various time periods on the island. 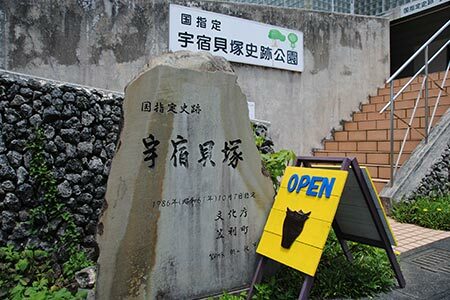 The Amami Wildlife Center has several exhibits about rare species living on the island, including an actual preserved Amami black rabbit. 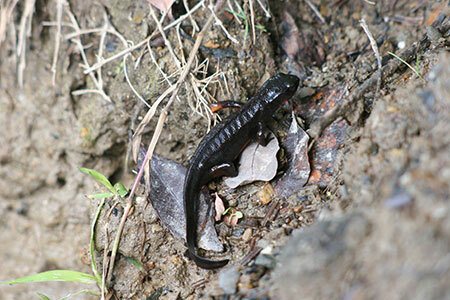 It also conducts various conservation activities. 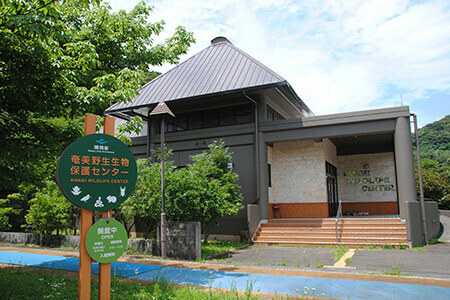 Every nature lover who comes to Amami will want to visit the Amami Wildlife Center. 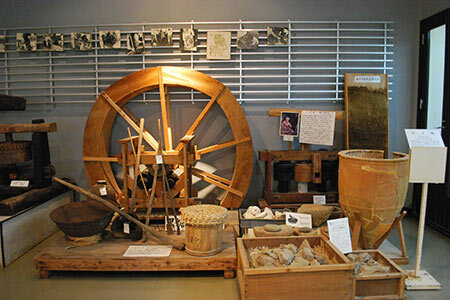 Kasari Folklore Archive exhibits archaeological, historical and cultural materials that were excavated in Amami. 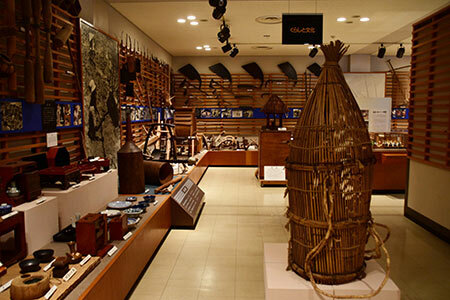 These objects help visitors understand how Amami culture has been formed by contact with various outside influences. 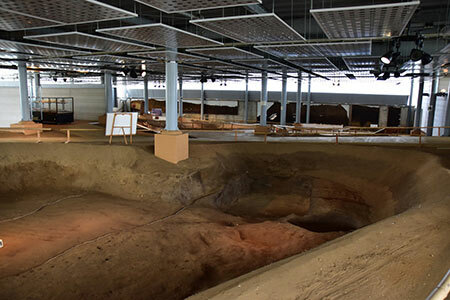 Ushuku Excavation Park is an exhibition of the ground where artifacts dating back to the Stone Age were uncovered. 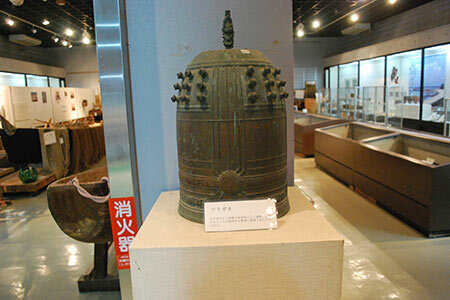 The exhibitions are well designed to teach all generations of visitors, including children, about the history of these artifacts. 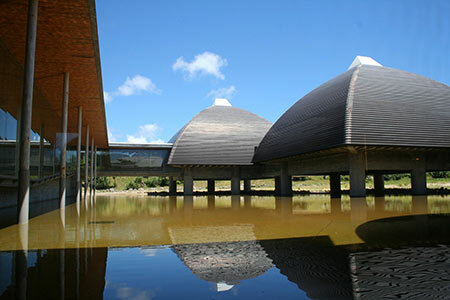 Even visitors with no archaeological background will be impressed by this remarkable place. Tsumugi is an elaborate fabric woven from hand-dyed silk. Amami produces a special type of tsumugi called oshima tsumugi, which is famous all over Japan because of its elaborate patterns and high quality. 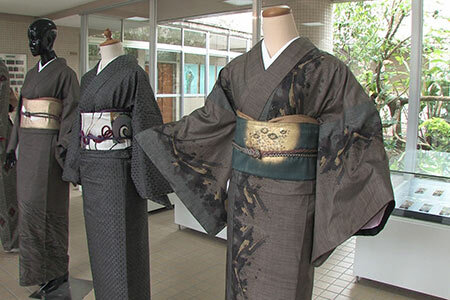 Many shops on the island sell elegant kimonos as well as more affordable souvenirs made from tsumugi. 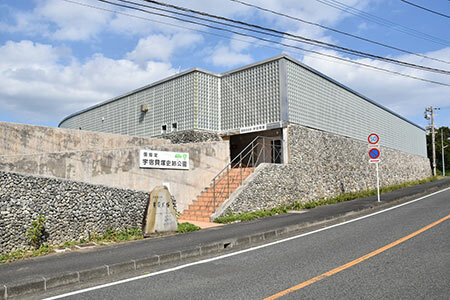 Amami people call tsumugi products simply "Oshima." 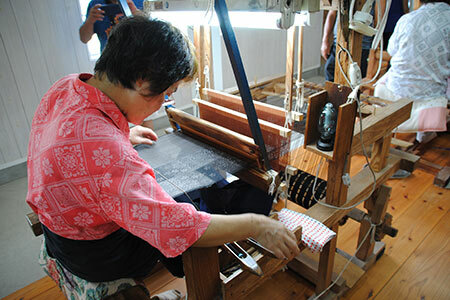 Oshima Tsumugi Village and other workshops invite visitors to observe the entire process of tsumugi production, and some sell tsumugi fabric, kimonos and souvenirs. 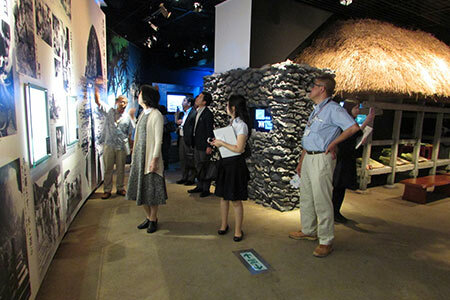 After following a long, winding trail through the bushes, visitors emerge at the edge of Gamouzaki Cape. This area contains Gamouzaki Park and a small shrine dedicated to a downfallen clan, the Heike family. The view of the East China Sea from the cape is stunning.